A complete HVAC systems is an essential for each and every business and residence. This becomes even more vital when the home or office is built with an emphasis on being energy efficient. A complete system is much more effective, both cost and energy-wise. Basically it means that over time, the system is going to be more efficient, reliable and require far less maintenance, and fully optimized to your requirements. HVAC stands for heating, ventilation, and air-conditioning. And that is exactly what it is: an blended system that can carry out all these functions and often it is possible to control the whole system using a single interface. This is the advantage of using a HVAC system – no using multiple controllers to operate or adjust multiple machines. The integrated system also ensures all the different parts of the system run together efficiently. 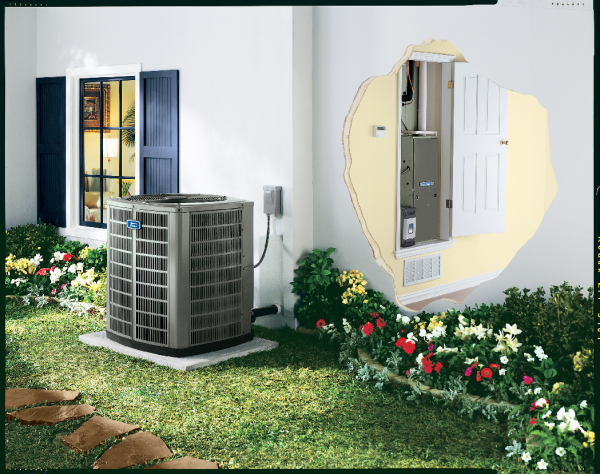 The main component of a HVAC system is a heating, a ventilation , and an air-conditioning unit. Also, majority of modern systems will include an air filtration and cleaning element as well. Heating is generally done with the use of a furnace or a boiler when used in residential buildings. There is a pipe system for the fluid delivering the heat, or a duct system for forced air systems. The heating system can be connected up to the water system of the house using the same water supply for bathing and to supply the radiators. Ventilation can be forced or natural. Forced ventilation systems are the ones we most often use for air cleaning purposes too. The use of natural ventilation is limited, especially in humid and warm climates like we have in Queensland. Air Conditioning obviously will have the opposite effect to heating, removing heat from the interior of the home or building. When you make the decision to install a HVAC system most of the above functions are able to be combined meaning there are less machines for you to purchase and installation time is going to be a lot faster. An excellent way to achieve this is by combining the function of the furnace and the air-conditioner. Heat-pumps are able to both heat and cool, and when calibrated correctly they can run effectively and efficiently, no back-up system necessary. At the end of the day whether you are looking to upgrade a current system or design a new one for a new home or building, considering a HVAC system can make your life easier and save you some $$$ in the process.